First off, removing the fans shows the naked heatsink. 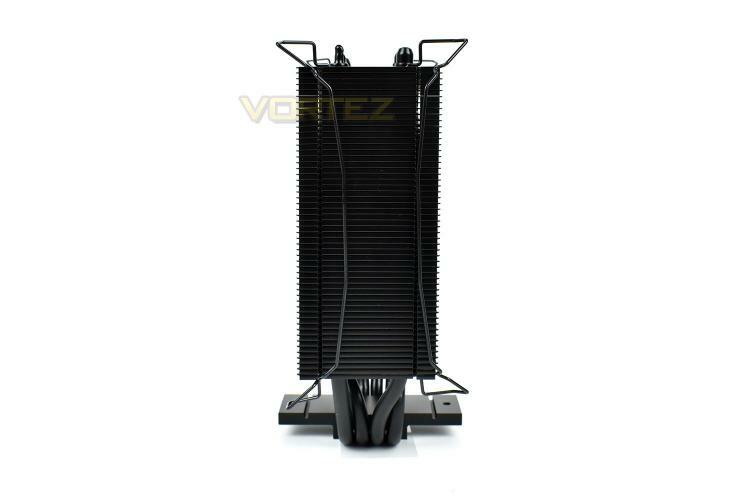 The heatsink is comprised of 54 aluminium fins measuring 0.4mm in thickness, with the heat being transmitted from the CPU to said fins via four 6mm heat pipes. 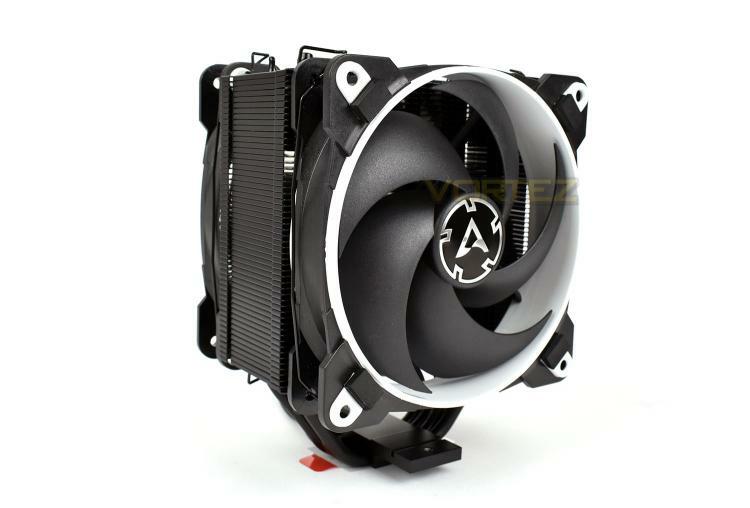 The side profile makes the closed fin design evident, helping to channel the air directly through the heatsink instead of it washing out of the sides; this should help the “pull” fan to do its job more effectively, removing the hot air and increasing flow through the fins. 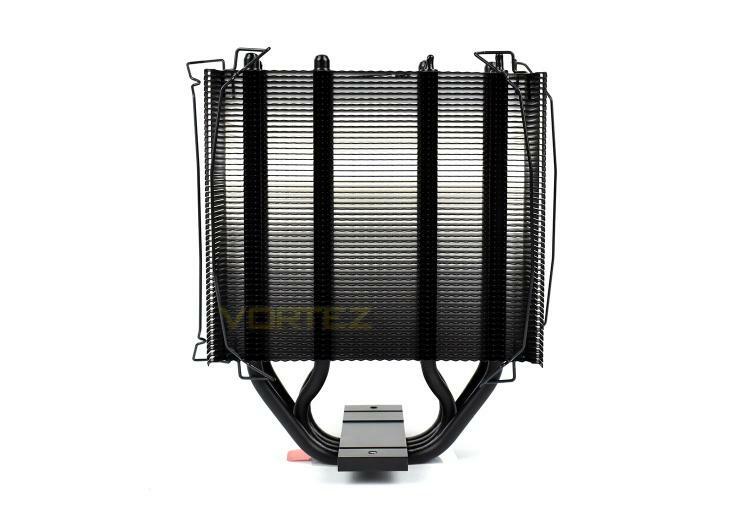 Those wire fan mountings are clipped into the heatsink and cannot be removed, meaning you must use the cooler with two fans, but they do work with several other types of fan that we tried, from various manufacturers. 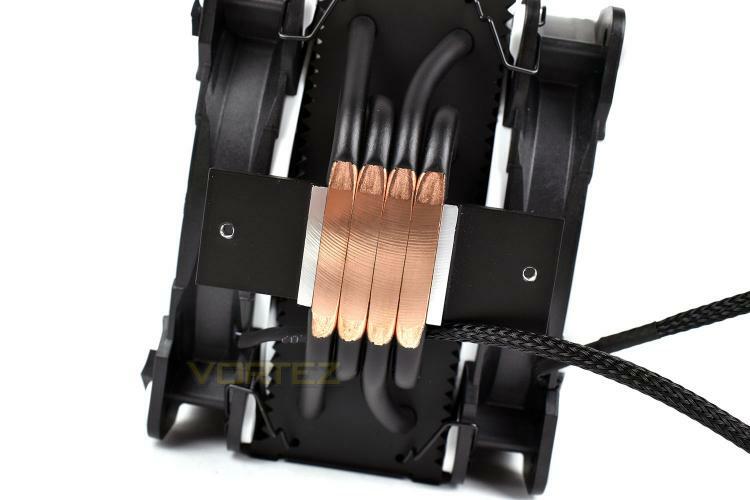 The bottom of the heat pipes, providing direct contact with the CPU, have been machined to a flat finish, this generally helps to improve the thermal transfer and overall performance by minimising any distance for the heat to travel. Reattaching the fans, the cooler looks much bigger. 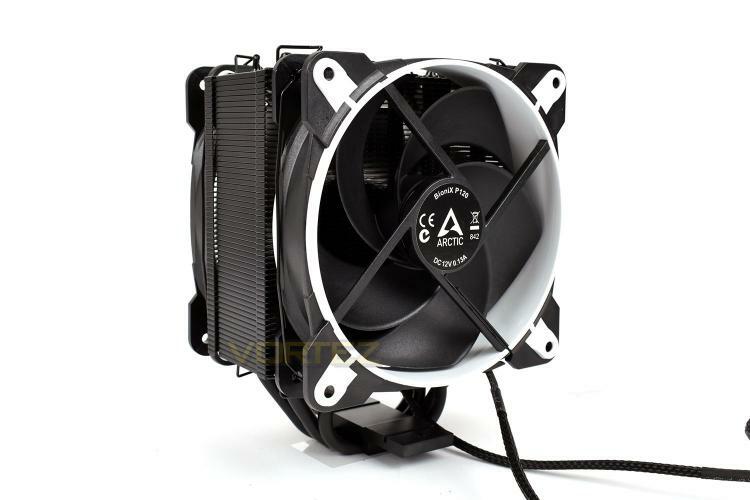 Measuring roughly 125mm x 105mm x 155mm, this should be compatible with most cases while providing plenty of airflow through the two BioniX P120 fans.